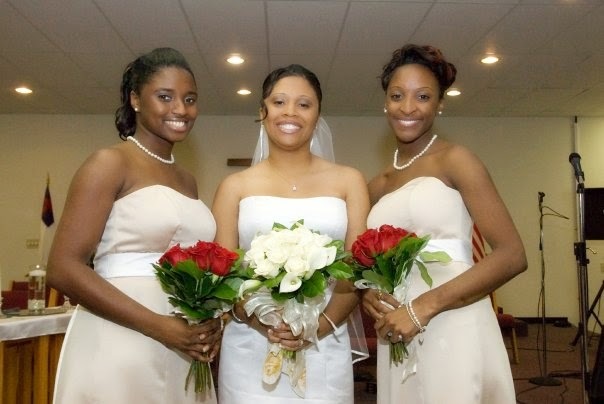 Two of my sisters are two of my BEST friends!! They are there for me through the good, the bad, and the ugly. They're hands down two of my biggest supporters - I promise they tell more people about my blog than I do lol - but in any & every aspect of my life, they are constantly offering that kind of support. Words can't express how much they mean to me. Growing up, I never would have guessed that we would have such close relationships. We fought like honey badgers! But I guess that is pretty typical in a house full of girls. I'm sure our age differences played a role in it, too. It didn't take us very long to go from roommates (yes, voluntarily, as adults) to living hundreds of miles away from each other, but I think my relationships with them are stronger than ever. I cherish the times we do get to spend together, and I know they do, too. Their names are Karla and Mariya, and they are six years older and two years younger than me, respectively. Karla is a lawyer and Mariya is a chef. Understandably, Karla is my voice of reason, while Mariya is my partner in crime. Mariya would be sitting beside me in jail, while Karla would be bailing us out. Ha! Of course, I say that jokingly, but it is a good illustration of our relationships. We're there for each other. I have their backs and they have mine. That quote is so true and funny at the same time. 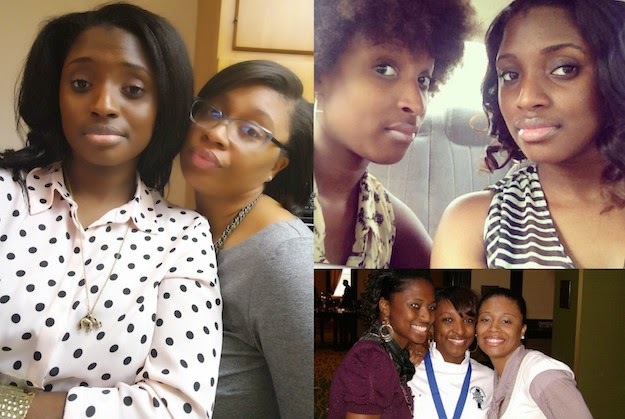 My sisters and I are ride or die for each other just like that. I can call them for a good laugh or a good cry. If I need some good advice or if I just need to vent, I know they will be there for me. It's funny, too, because in that closeness, we can get under each other's skin better than anyone else. But it really doesn't matter how mad we make each other because there's nothing we can do about the fact that we're sisters. We'll inevitably get over it and keep moving like it didn't happen. All sisters don't experience the luxury of the tight-knit relationships that we share with one another. We may not talk daily, but when we do talk, it's as if the distance between us doesn't exist. While my sisters can't physically be here to help with my dad, they are here in every other way they can be. I truly appreciate them for that. Sometimes, when difficult situations arise in a family, it can lead to division. But this has done nothing, if not bring us closer to each other. I'm extremely grateful for that. 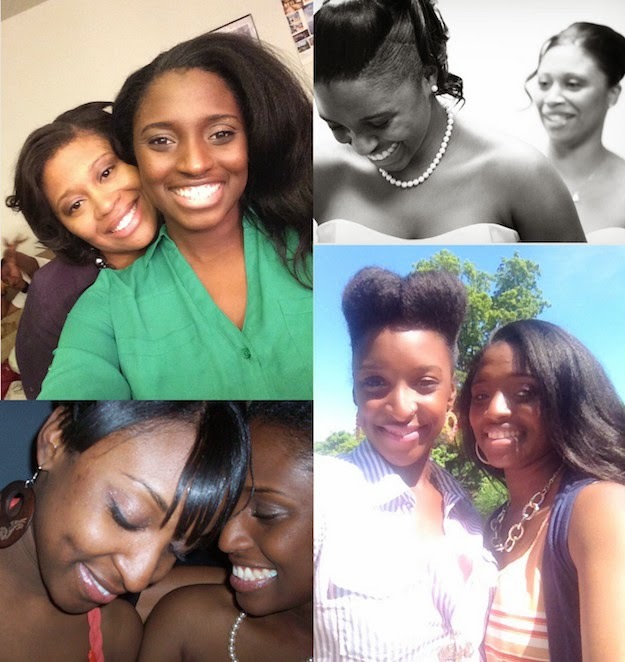 Do you have sisters or relationships like this that make you grateful? Awww..what a beautiful post!!!! I enjoyed reading it because my sisters and I are as thick as thieves. Even though we are thousands of miles apart we Skype and WhatsApp often so it's like we don't skip a beat. we share in each others' triumphs and get through trials together. When we get together is trouble with a capital T!!! Yessss, Sammy! Same here. I love the ability we have to video chat and connect with each other as if the distance wasn't so great. Thanks for sharing! Such a beautiful post! I always wished i had sisters but my female circle has me covered. I have 2 brothers. Thanks, Tomes! That's funny because I always wished for brothers. We have cousins without sisters that filled that brother void for us. It's great you have friends that can do the same for you. You posts are always super special and touching. You all are amazingly gorgeous. Yes, I have a sister. We are indeed close also. Awww!!! :) Thank you thank you, Diva!! So sweet. Love that you have a close relationship with your sis as well.